Spring is the best time to start your vegetable garden! In the cold months of winter, we drool and dream of the gardens we hope to have. By late February, some of us have had enough of seed catalogues and TV! We set out to start our vegetable seedlings indoors, so as not to miss a single day of planting, once the risk of frost has passed. For anyone who planted in the Spring, around mid to late April, your gardens are now full of tomato plants, summer squash, peppers, eggplants, cucumbers, southern peas, bush and pole beans! One of the hardest things for me to do in the early growing stages of a new seedling (and I suspect for many gardeners) is to pull out perfectly healthy plants from their new home. Now, I must admit, as a veteran gardener, you’d think I’d get over it, but I still treat these first born seedlings like my children. I want them all to have an equal chance at making something out of their lives. This heart wrenching but necessary process is known as “thinning” and must be done if seeds are planted too close together. Most vegetable plants need plenty of room to grow. This is so they can receive the most sunlight, air circulation, and nutrients for them to achieve maximum health and productivity. By now, you’ve likely done this important step of thinning. If not, do so now. Seed packets always provide the spacing information on the back of each package. Now, you may ask, how about sowing seeds more sparingly, and then you can avoid this thinning process completely. Well, due to the relatively low price of seeds, my preference is to sow more liberally, as not every seed will germinate. Then I have the chance to evaluate and eliminate the inferior seedlings, leaving only the strongest for production in the garden. And it’s the strongest plants that will best be able to stand up to the inevitable yet unwanted arrival of pests and diseases. There are a number of ways of reducing uninvited pests in your garden. First, plant early in the season. Spring is the best time to start. Many of the worst pests aren’t out until early summer. By then many of your plants will be past their most vulnerable stages, and will be tough enough by now to withstand some moderate invasions. Some pests have a preference for the young, tender plants, so by the time they get into your garden, the plants are well past this stage. Another way to battle bugs is to use floating row covers. Row covers are nothing more than a lightweight fabric, used to physically cover the young plants like a blanket. This fabric is available at most nurseries, and gardening seed catalogue companies. This material is light enough to let air, light and water in, but keep pests out. This fabric is best used from the time you plant your seeds, or seedlings, up until just before flowering. It is very important that row covers be removed for several days at this stage, so bees have access to flowers for pollination. Once adequate pollination has taken place, you may leave the covers off, or replace them. Just be sure that the fabric you choose for this is the lightest you can find, so as not to trap excess heat. Bugs and insects transmit many diseases to vegetable plants. The row covers will help greatly in reducing the spread of disease, simply by reducing the amount of pests on your plants. Besides pests, another of the most common ways vegetable plants get diseases in the summer is through moisture, either by overhead watering, watering at the wrong time of day, rain, or by water splashing up to the plant from the soil. There are a few simple things you can do to reduce the chances of your plants getting soil born, and water related diseases, like leaf spot, and Downy or Powdery mildew. First, mulch, mulch, mulch. Think of a protective barrier between the diseases and pathogens in the soil and the plant itself. Soak the roots only, if possible. 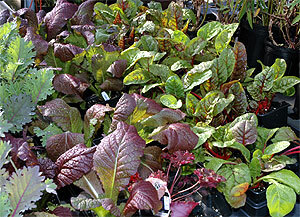 If you do water the foliage, do so early enough in the day so that the plant leaves have time to dry before night. Your goal is to minimize the length of time moisture stays on the leaf surface. hi!,I really like your writing so a lot! share we keep in touch extra approximately your post on AOL? I need an expert on this area to resolve my problem. May be that’s you! Having a look ahead to see you.